Η MG μας έδωσε νέες πληροφορίες για την ευρωπαϊκή έκδοση του MG3, του οποίου το ντεμπούτο έγινε στο Ευρωπαϊκό σχεδιαστικό κέντρο της εταιρίας στο Birmingham, όπου και θα παράγεται από τα μέσα της χρονιάς. Η εταιρία το περιγράφει ως “χαρακτηριστιό παράδειγμα του σύγχρονου βρετανικού στυλ” και σπορ σχεδίαση που θα προσελκύσει το νεανικό κοινό. Γι’αυτό το λόγο είναι πλήρως παραμετροποιήσιμο και θα είναι διαθέσιμο σε 10 εξωτερικά χρώματα με αντίστοιχα σχέδια. Διαθέτει νέο μπροστά προφυλακτήρα, νέα γρίλια, LED φώτα ημέρας ζάντες 16 ιντσών, ενώ η καμπίνα και οι αναρτήσεις έχουν βελτιωθεί ώστε να μπορούν να ανταποκριθούν στα στάνταρ της Ευρωπαϊκής αγοράς. Έχει μήκος 4.015 mm, πλάτος 1.728 mm, ύψος 1.520 mm και μεταξόνιο 2.520 mm. Κάτω από το καπό υπάρχει ο τετρακύλινδρος (μάλλον 1.500αρης) ατμοσφαιρικός κινητήρας απόδοσης 105 ίππων ο οποίος συνδυάζεται με ένα 5-τάχυτο αυτόματο κιβώτιο. Θα προσφέρεται σε τρία επίπεδα εξοπλισμού TS1, TS2 και TS3, και θα είναι πλουσιότερο από τη Κινέζικη έκδοση. Ο Guy Jones, επικεφαλής πωλήσεων και marketing της MG Αγγλίας δήλωσε πως το MG3 θα ανταγωνίζεται τα MINI, Citroen DS3 και Opel Adam. Στην Αγγλία αναμένεται να ξεκινά από τις £10.000 (€11.500) με την κυκλοφορία του να αναμένεται να ξεκινήσει από το Σεπτέμβρη. Παράλληλα η MG ανακοίνωσε πως επεκτείνει το σχεδιαστικό της κέντρο στην Αγγλία. 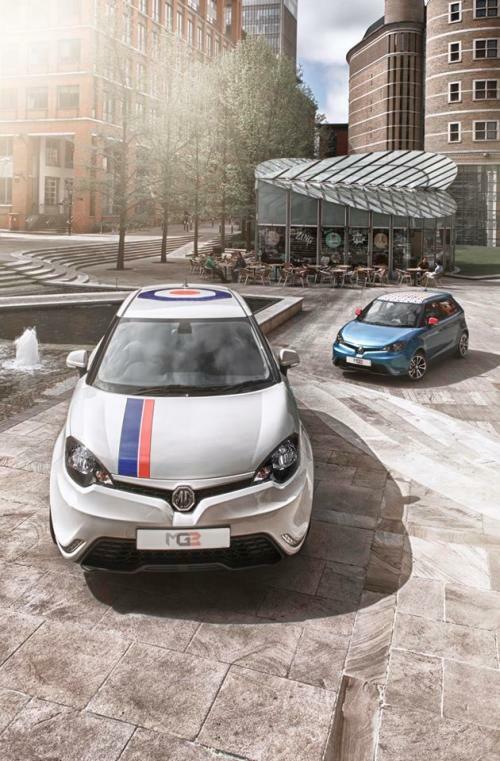 Today (June 12) MG unveiled the full range of styles for the UK MG3 at its Birmingham-based European Design Centre. 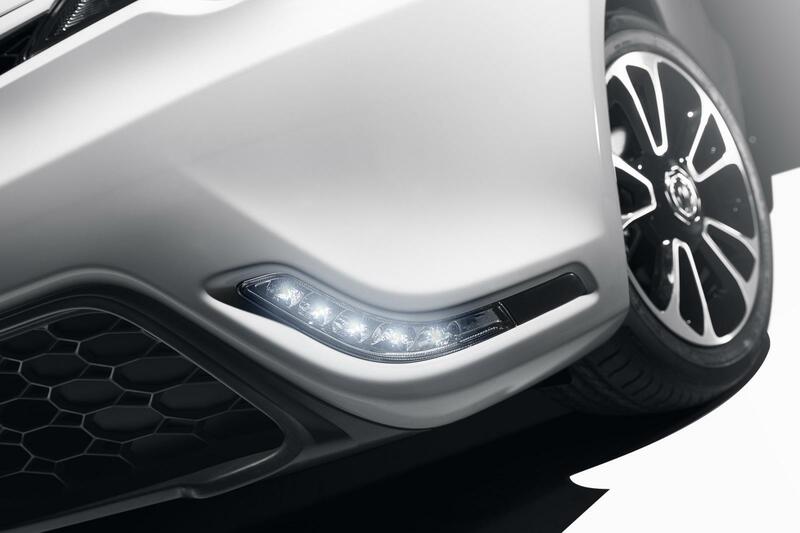 The exciting new car carries forward many of the styling cues first illustrated on the MG ZERO concept car, again designed here at SAIC Motors European Design Centre. SAIC, MG’s parent company, is the eight largest automotive company in the world and China’s No1 auto firm. The UK studio has just undergone an additional investment and is now more than double its original size. It opened just three years ago in what was then a £5 million capital programme. It’s now the fifth largest automotive design studio in Britain. 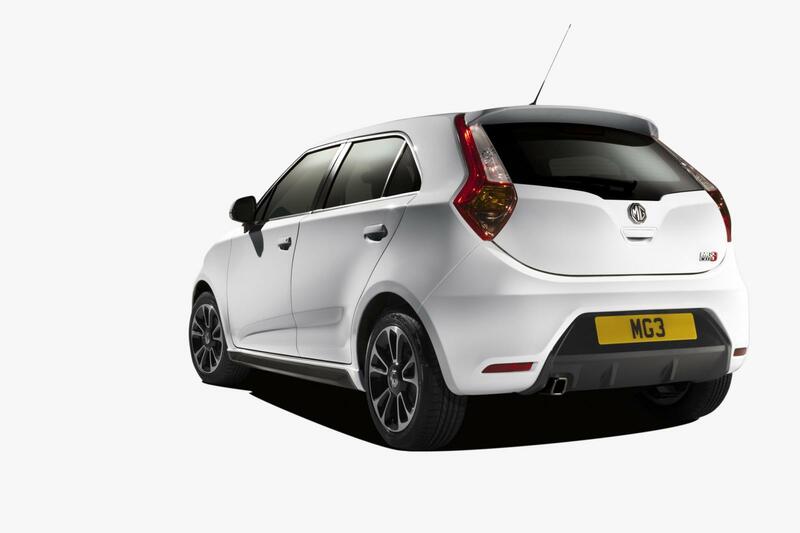 MG3 is a distinctive statement of modern British style designed to target young and style conscious buyers, wanting something that’s different from anything else in the market. From launch, MG3 customers will be able to personalise both the exterior and interior of this new supermini MG, making it fun to buy and own, as well as having the MG trademark of being fun to drive. 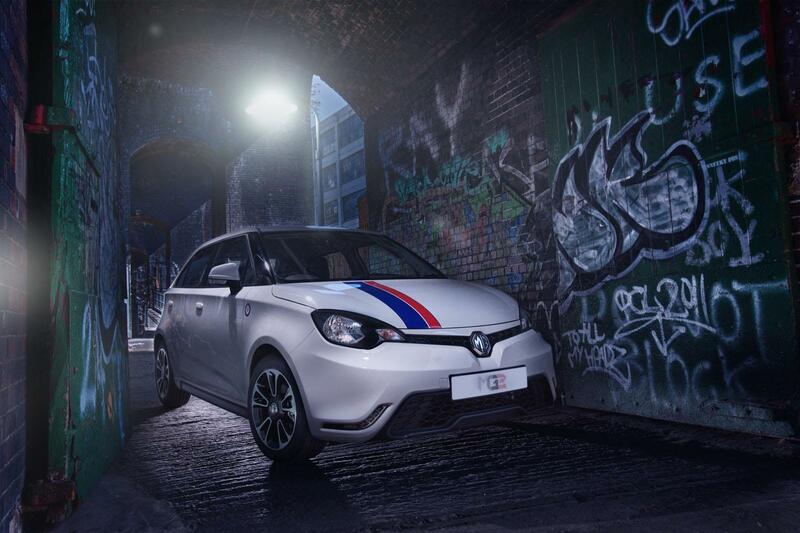 The MG3 is all about style, fun and offering customers the ability to personalise the car. 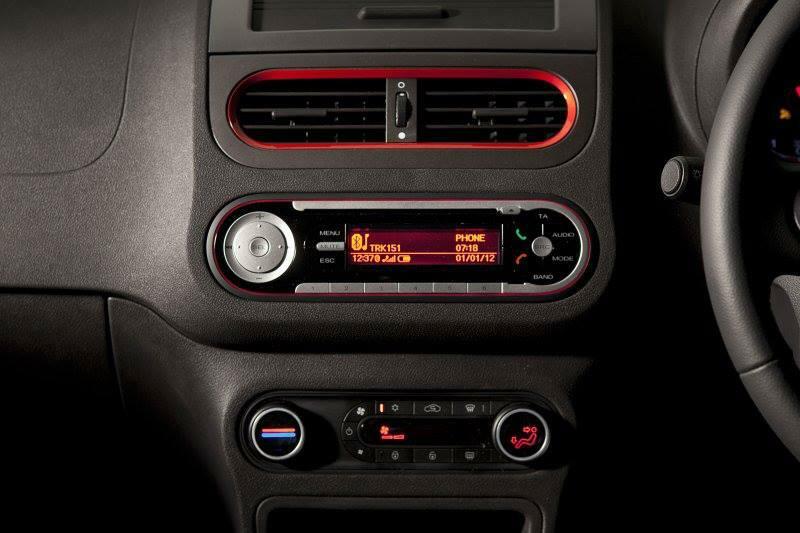 With three trim levels, 10 colours and a range of at least 10 graphic packs, they will be spoilt for choice! The combinations are almost endless. 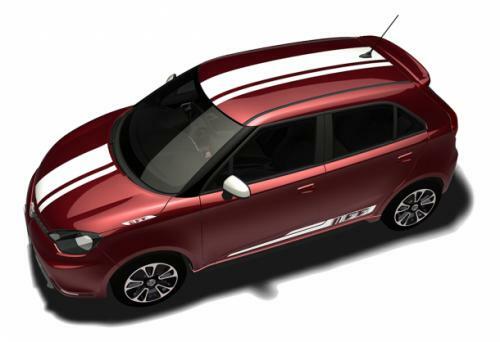 Depending on the model choice, exterior highlights include 16” Diamond cut alloy wheels, unique LED ‘hockey stick’ daytime running lights, sport-design bumper, side sill extensions, rear spoiler, sports-design rear valance, chrome exhaust finishers and MG insert headlamps. Inside the MG3, again depending on trim level and options, key features will be an easy to use air conditioning system, six-speaker audio, Bluetooth with audio streaming, DAB radio, USB/Aux input, automatic lights, automatic wipers, rear parking sensors, ‘ZERO’ design fabric seats and part-leather trim. 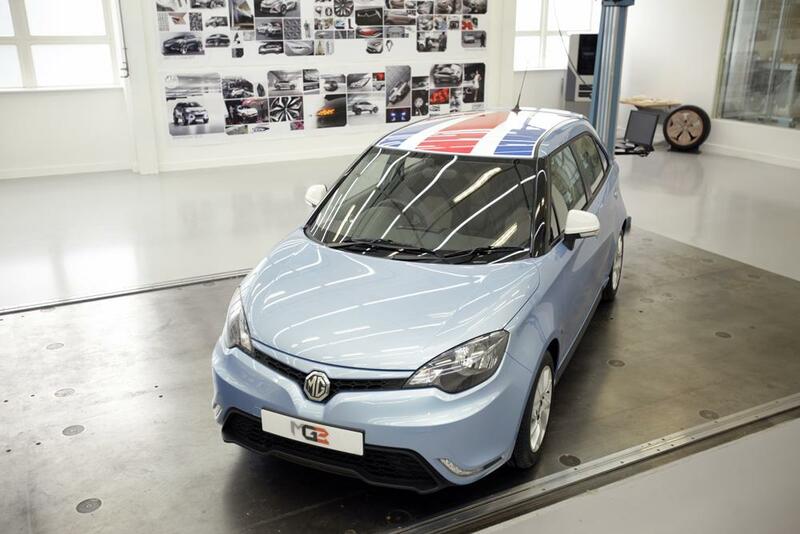 This unique and contemporary style of the MG3 is the work of the 30 design staff and 300 engineers at SAIC’s UK Technical Centre here at the MG Birmingham site in Longbridge, UK. The MG3 will become the second in a new generation of MG vehicles to leave the assembly line at the Birmingham factory, following the introduction of the MG6 petrol and diesel range of GT fastbacks and Magnette four-door sports saloons. MG’s UK based design team have given the new MG3 a cheeky touch of flair from every viewing angle. From the front there is an immediate, distinctive flash of style with the ‘hockey stick’ LED daytime running lights on every trim level, a full width black mesh grille, and black A-Pillar and ‘visor’ wraparound style windscreen. 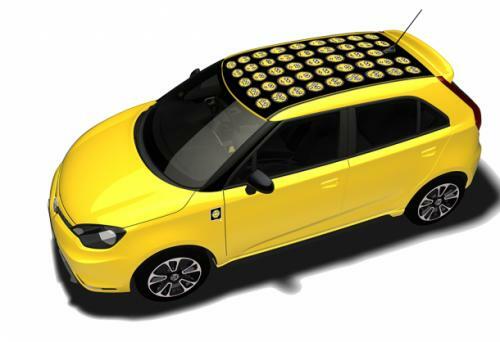 It will make the MG3 unmistakable on the road. Equally distinctive is the side profiIe. 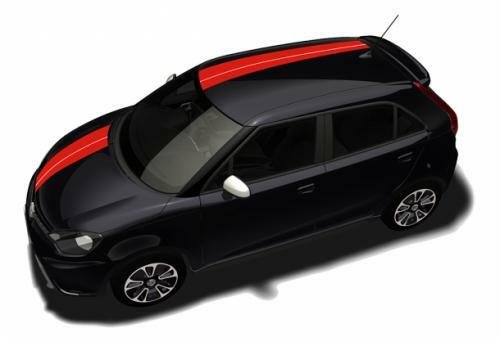 The dual colour side skirts clearly echo the design of the MG ZERO, lowering the stance of the car and hinting at just how much fun the MG3 could be to own. 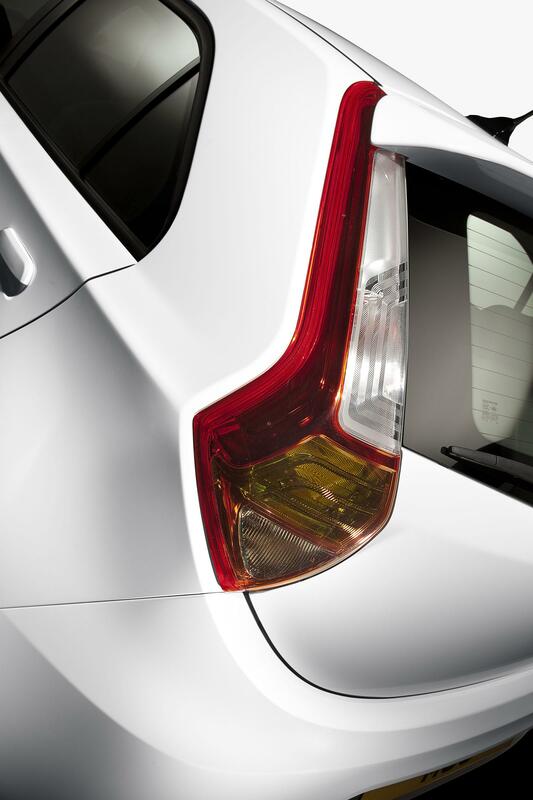 Diamond-cut, dual colour wheels give a real touch of class on the higher trim levels. From the rear there is a strong pointer to the fun and sportiness that lies at the heart of the MG brand. 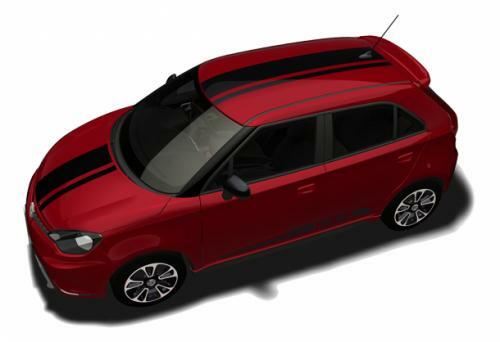 With a rear valance insert inspired by generations of MG racing cars, a unique superelliptic tail pipe finished in chrome and a body coloured tail spoiler, the MG3 looks distinctly sleek and sporty – a designer’s dream. 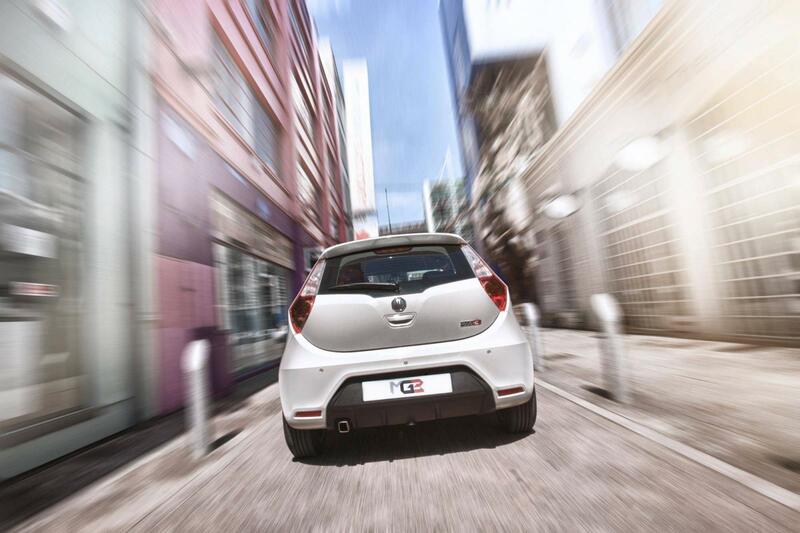 Normally this is where the compromise comes on small sporty cars – but not with MG3. 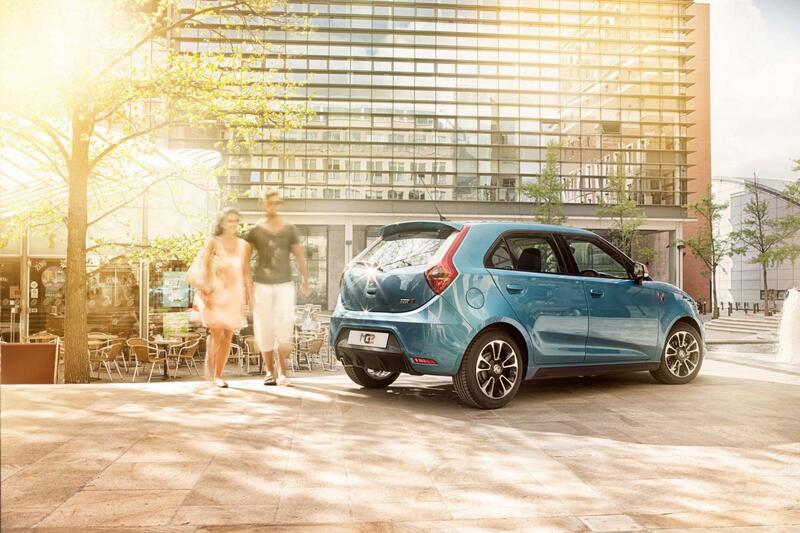 Fun, entertaining and easy to live with, the MG3 combines style and enjoyment with practical spaciousness. The designers and engineers have combined to create an exceptional amount of space and versatility in a very compact five-door package. 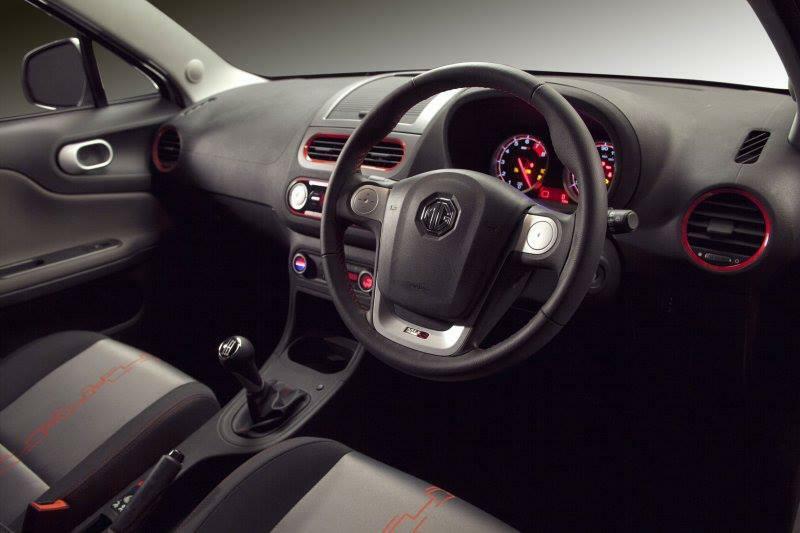 Extensive work from the MG Design and Engineering team on the architectural package has resulted in interior packaging that rivals or surpasses anything in its class. 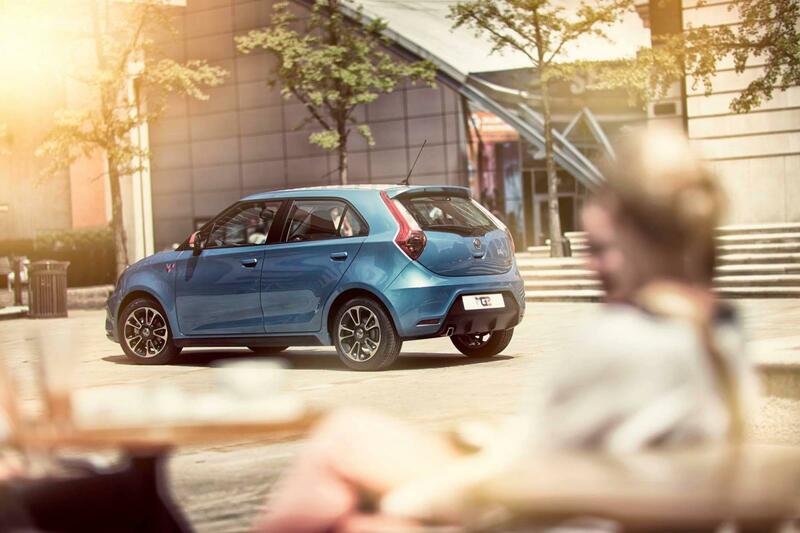 In a 4m long package, the MG3 will easily accommodate four 6ft individuals; a level of accommodation typically associated with larger cars and mirrors the spaciousness of the MG6 range. 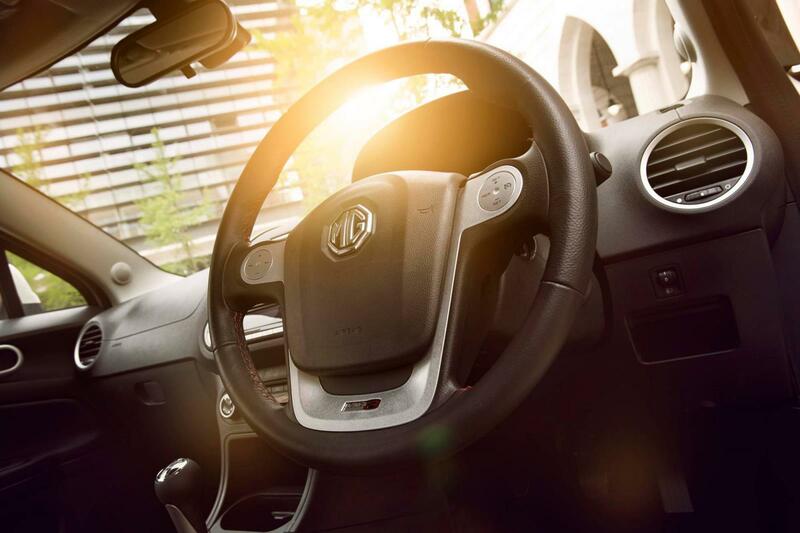 The MG3’s ‘rolled and raised’ front dashboard design creates an airy forward cabin space and increased legroom, while allowing excellent access to primary and secondary controls. 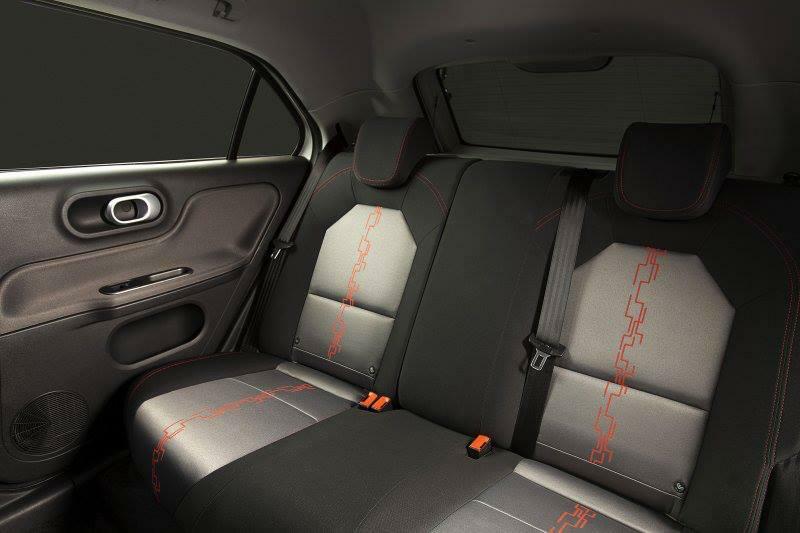 This theme is continued in the rear of the car, where the front seats are sculpted to allow rear passengers excellent space to travel in comfort. Class-leading rear headroom is another characteristic which sets the MG3 apart. Many cars in this sector compromise on interior space, particularly in the rear. But rear headroom in the MG3 is more than generous. 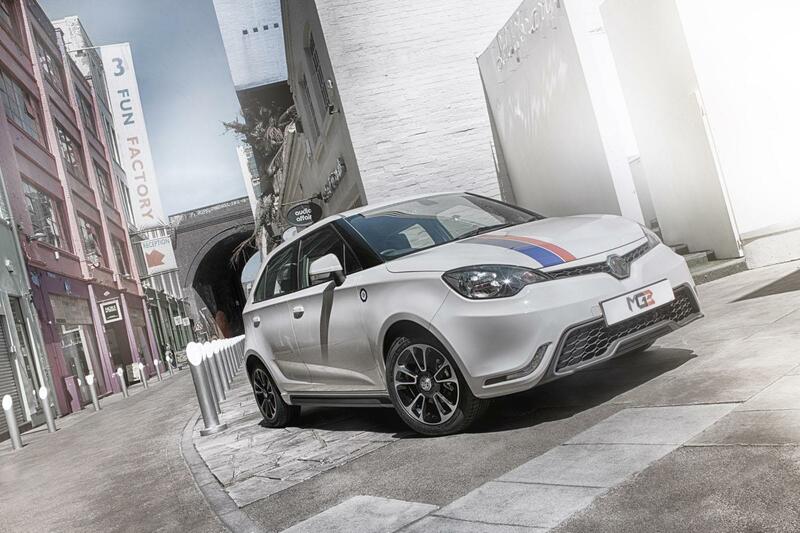 So clearly space and comfort have not been compromised in this, the first modern supermini from MG to take the famous octagon brand into a new sector. Designed with the core value of fun to drive, the MG3 chassis has been honed from hundreds of thousands of miles of testing on European roads. Intended to deliver impressive levels of body control, sharpness and a willingness to corner to engage keen drivers, MG’s world class team of chassis engineers have also delivered sure footed handling and impressive ride comfort. 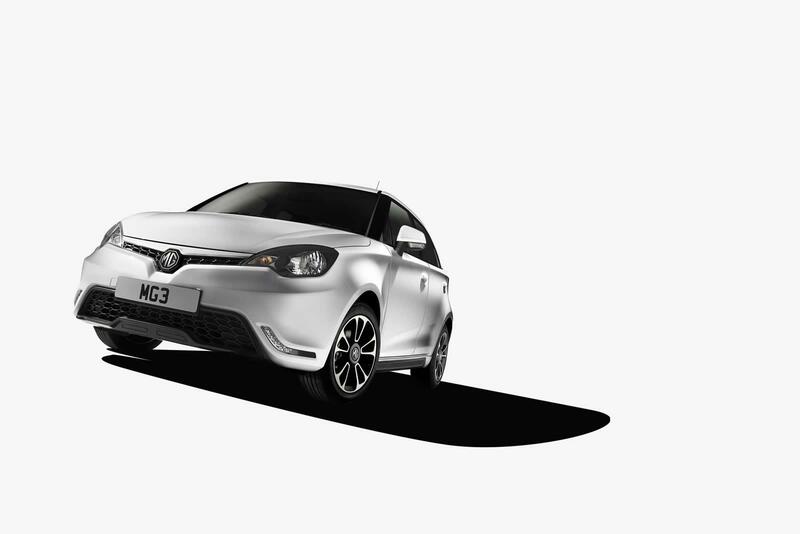 Together this makes the MG3 suitable for every journey, from crowded urban routes, to flowing British B-roads or cruising on a European motorway. 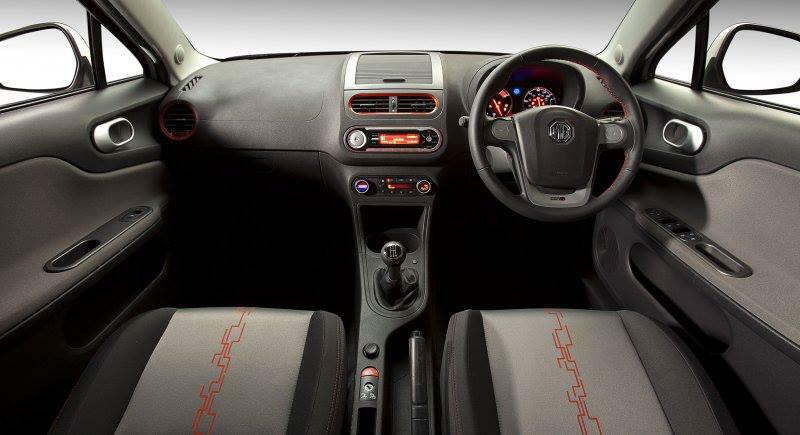 In addition to a wide range of body colours a range of personalisation options will be available, allowing the MG3 to be tailored to the individual behind the wheel. 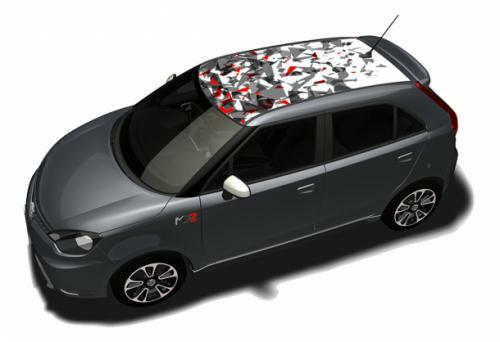 Roof, side and bonnet graphics will allow owners to personalise their own MG3. 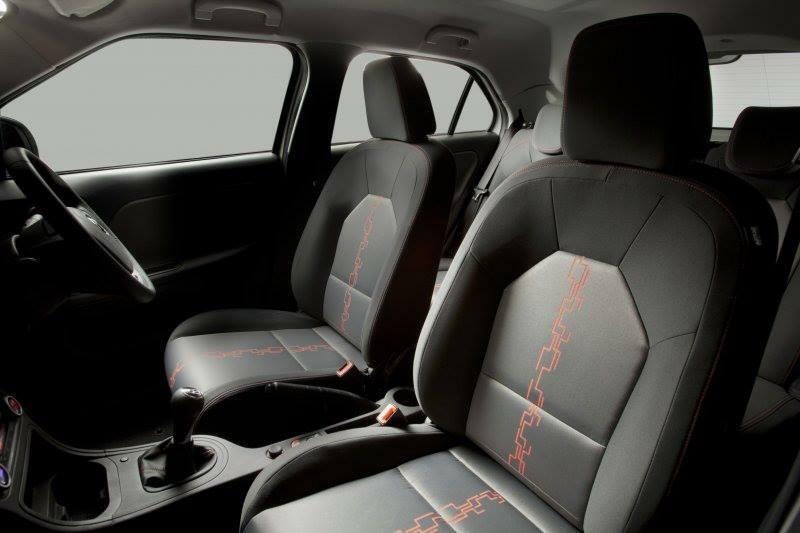 Interior trims, wheels, vents, surrounds and mats will all be available in a choice of designs, colours and finishes allowing you to make your MG3 truly personal. Our new baby will be powered by a healthy 105PS version of our own VTi-TECH petrol engine, joining the MG6 DTi-TECH and TCi-TECH engines in the European family. The dynamic and responsive VTi-TECH engine is mated to a 5-speed manual transmission that makes the MG3 perfectly suited to nipping in and out of city traffic or enjoying a great British B road. 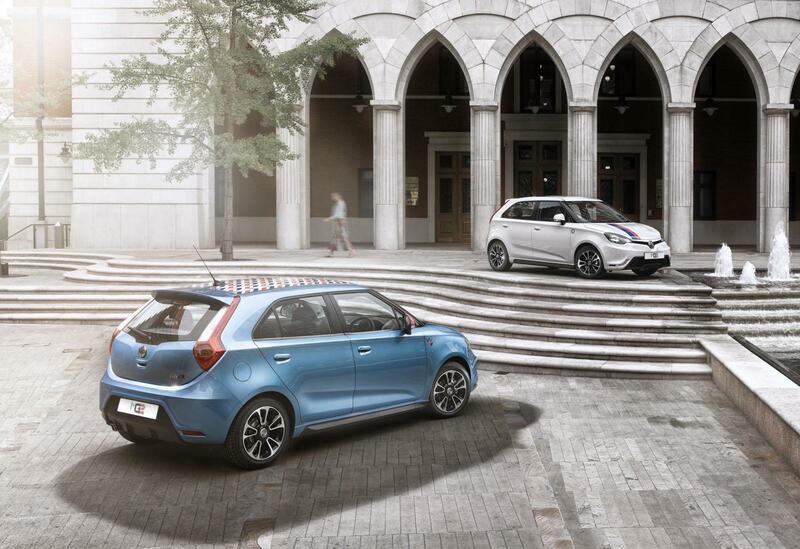 Guy Jones, MG Motor UK’s Sales & Marketing Director said: “This new MG3 is a great package for the increasing number of European customers looking for a stylish small car, that’s affordable and practical to own. 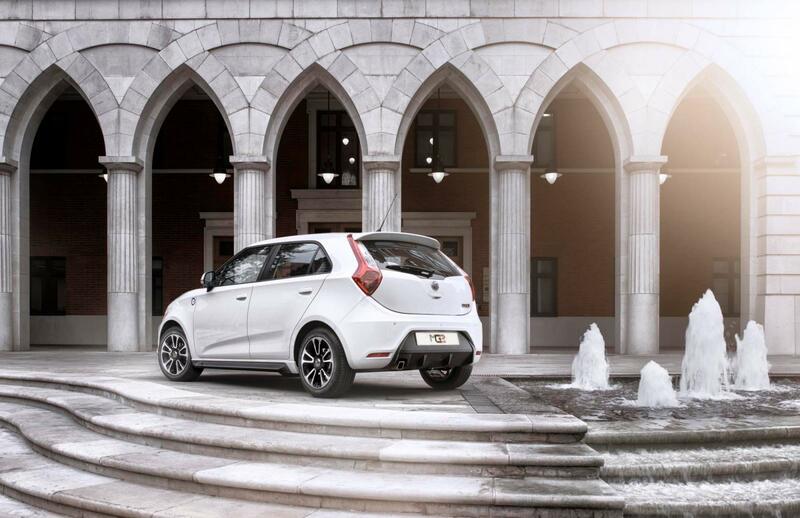 At just 4-metres long and with five doors, MG3 is really easy to drive and park and very practical. 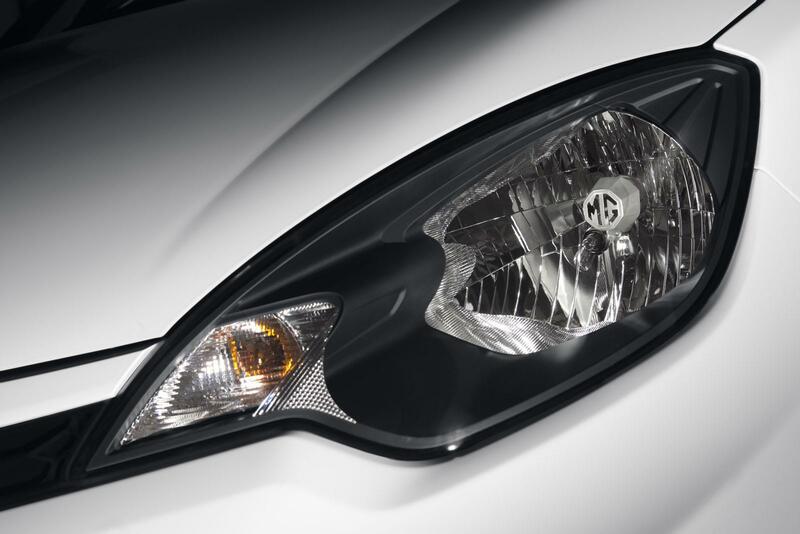 It has a distinctive stance and the ‘hockey stick’ daylight running lights help give the MG3 a front ‘face’ unlike any other car. 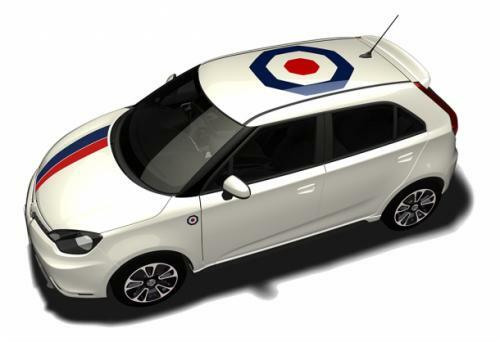 Jones added: “The reaction to the MG3 has been extremely positive from both male and female customers and it will also mean that MG dealers in Britain will soon have a second all-new model in the showrooms. “This is a car that that MG enthusiasts and dealers across Europe have been waiting for, but more significantly it will bring a whole new group of customers to the MG brand for the first time. 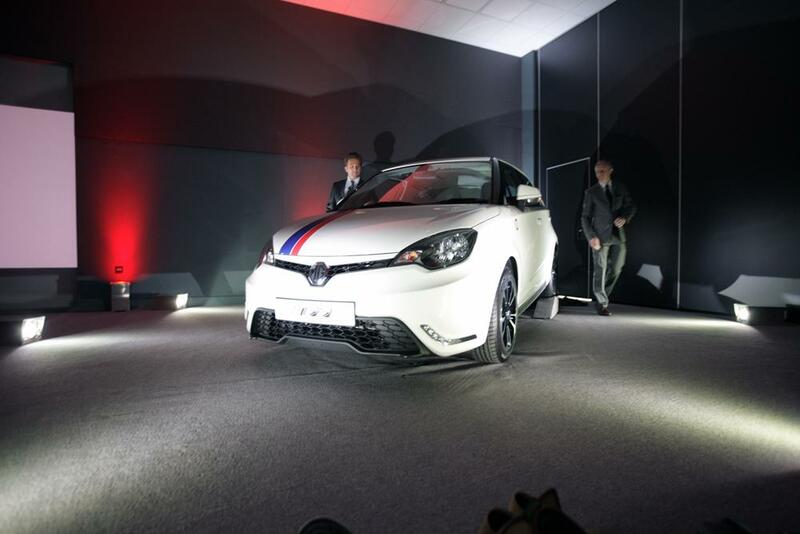 Full specifications and prices will be announced nearer to the public launch over MG3. Production will start at the MG Birmingham site in a few months time and it is anticipated that dealer demonstrators will be in showrooms by September. Today (June 12) SAIC Motor’s European Design Centre at the MG Birmingham site was opened. It has more than doubled in size just three years after the original design studio opened. The latest investment from SAIC Motor, MG’s parent company, follows on from more than £500 million invested in the development of new models for Europe. 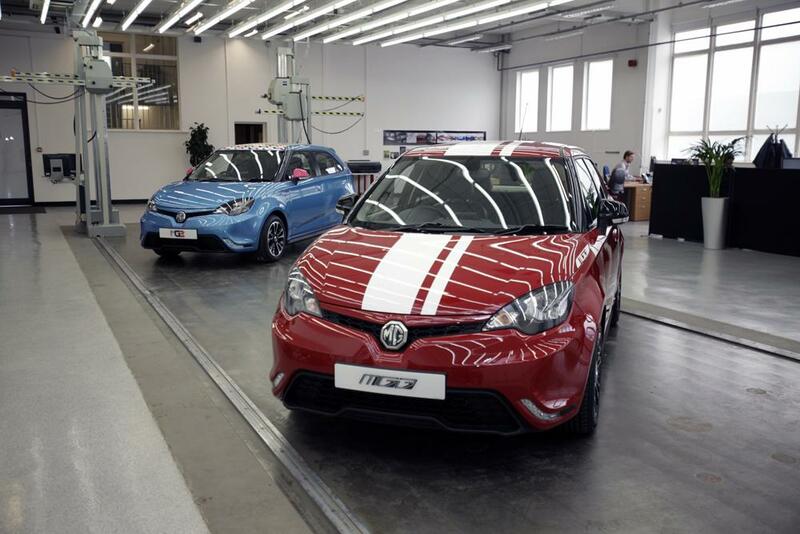 Staff in the newly expanded Design Centre are already working on a range of future MG models, including the new MG3. The latest investment allows the studio, now the fifth largest in Britain, to carry out even more advanced design work. The original studio was part of a £5 million investment programme. An advanced five-axis milling machine, which allows models in clay or hard materials to be produced within 36 hours, is a major part of the latest upgrade and spending on sophisticated equipment. It also includes a Visualisation Suite where life-size images of models can be projected onto a giant screen that has 2D and 3D capability. A second design plate, an extremely accurate steel plate set to fine tolerances, has been installed. 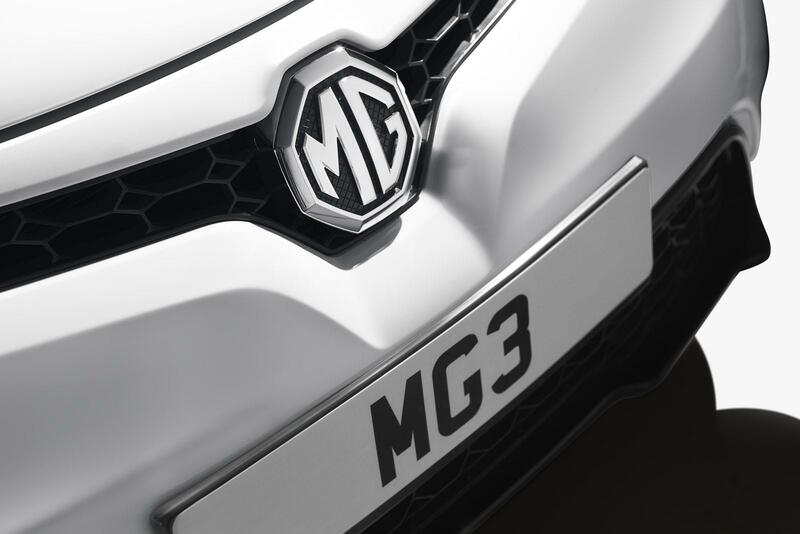 This allows highly-skilled clay modellers to work on future generations of MG cars. More than 160 designers at two studios – Shanghai and the MG site in Birmingham – come under the leadership of Anthony Williams-Kenny, SAIC’s Head of Global Design who flew in from China for the opening. Canadian-born Martin Uhlarik heads the European Design Centre in Birmingham. The designers work closely with the 300 professional engineers at the adjoining SAIC UK Technical Centre. 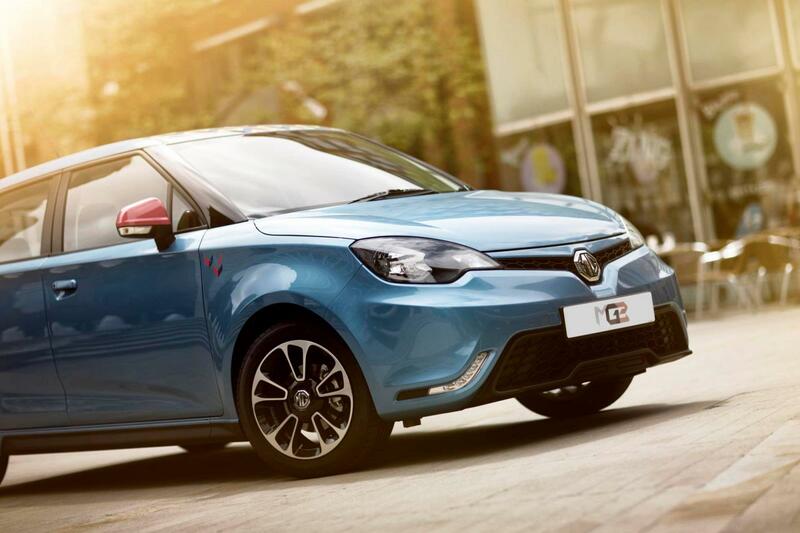 More than 400 people are employed at the MG Birmingham site where the new MG3 will roll off the assembly line later this year. It will become the second modern MG to come out of the Birmingham factory following the MG6 GT fastback and Magnette sport saloon range of petrol and diesel models.